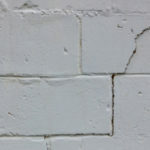 Depending on the size of sidewalk cracks, vertical offsets or gaps, sidewalk damage may be considered a danger to the public. Toronto sidewalk repairs are incredibly common and a fundamental part of maintenance. Properly applied repairs can last decades so it’s worth the investment. If sidewalk repairs are ignored the issues will increase, as will the cost to fix the damage. 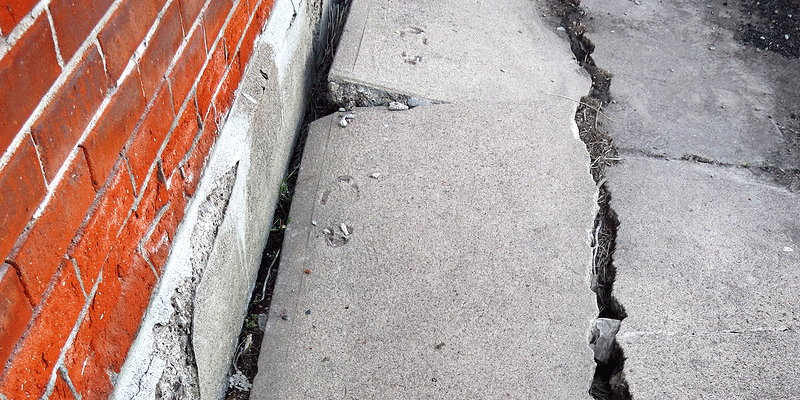 The number one leading cause of sidewalk damage relates to tree root growth. Poor drainage, insufficient foundation base, weather, poor installation or basic wear and tear can all lead to sidewalk damage over time. What Is Considered A Dangerous Sidewalk Issue? The most dangerous and common sidewalk issues relate to any defects that pose a trip hazard. Any irregularity that causes a change in elevation surpassing ½ of an inch is considered sufficient enough to produce a trip hazard. 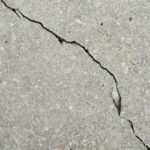 Sidewalk cracks may from along edges, joint seams and expansion joints. No matter where the crack is located it still needs to be addressed as soon as possible. Any cracks or faults in the surface are considered a trip hazard when the change in elevation is greater than ½-inch vertically or over ¾-inch horizontally. -Holes that measure larger than 1-inch square. -Non-level surfaces or surfaces that lack nonskid high-traction. -Water pooling due to poor grading or drainage systems. 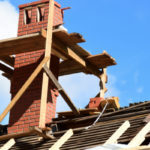 Slight damage is defined as a vertical offset less than ½ of an inch. Minor damage is defined as a vertical offset that measures between ½” and 1-½”. Major damage is defined as any serious offset or defect that measures greater than 1-½”. A horizontal gap that expands greater than ¾ of an inch between panels is another trip hazard. These gaps often show signs of vegetation growing in the cracks. The most common repair methods include filling in the gap or replacing the panel. If sidewalks have holes, depressions, and cracks or are spalling the repair options include filling in holes and/or replacing panels. Surrounding tree roots can grow up into the sidewalk, pushing up on the surface until it rises, cracks and creates a dangerous trip hazard. Recommended repair suggestions include replacing the panel with a material better suited to handling pressure from tree roots. In some cases, you may need to relocate the sidewalk at a greater distance from the tree. Raised panel: This method includes digging beneath the panel and using a pry bar or other tool to lift the lower panel up. This grants you access to fill in the space with dirt, sand, rock, etc. Once the panel is lowered back into place it should sit level if the right amount of filler is used. This solution is not always recommended and is only considered successful so long as the panels sit level post-repair. It’s important to note that a raised panel can drop again over time. Replace sidewalk panel: The current damaged panel is removed and a new panel is installed. Filling in gaps: This is the easiest way to fix a gap in your sidewalk. It includes using a foam plastic rope material that is highly flexible. You stuff the appropriate amount of this backer filler in the crack. There should be around ¼” depth between the backer rod and the sidewalk once it is sufficiently pushed inside. A weather resistant caulking material is then added over the backer rod. This seals in the gap and prevents water from entering beneath the surface and creating greater damage. 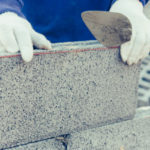 Filling in holes: The easiest way to fill in sidewalk holes is to enlarge the hole or crack using a cold chisel and hammer. The crack should be made wider at the bottom than it is at the top, technically known as undercutting. As a result, this will help the new concrete bond with the old concrete. Stub Toe Grinding: Stub toes are defined as any areas of the sidewalk where one panel is higher than the next. You can get rid of this trip hazard by grinding down the highest panel. Depending upon the cause, this may or may not address the issue. For instance, if a tree root is to blame this will only provide a temporary solution before tree roots push it back up again. Grinding is conducted so that the sidewalk gives off a gradual slope. If the sidewalk has a ½-inch rise, you’ll grind back 6-inches. If the sidewalk has a 1-inch of rise, you’ll grind back 12-inches. Contact Turnbull Masonry for a quote to fix any sidewalk or walkway issues impacting your home or business.